A few days ago, I published an essay discussing the threat of panpsychism in our culture's journey away from materialism. In essence, my point was this: now that reason and observations are rendering materialism untenable, panpsychism offers a bandaid solution that, in my view, threatens to perpetuate the absurd notion that matter is more primary than mind either in substance or in structure. Now, Matthew David Segall, a doctoral candidate in philosophy at the California Institute of Integral Studies, offered a critique of my essay. In this post, I'd like to briefly comment on his critique. Kastrup defends [monistic idealism], but only against a rather oversimplified, caricatured version of panpsychism. I have two brief comments on this. First, if the panpsychism I attempted to refute is 'caricatured' and 'oversimplified,' then Segall should perhaps direct the criticism towards Strawson, Chalmers, neuroscientist Christof Koch and others who articulate it. I'd applaud the attempt if he chooses to do so, as my original point was precisely that this articulation of panpsychism is incorrect. Second, 'caricatured' and 'oversimplified' as it may be, it is this articulation of panpsychism that is gaining momentum in academia and elsewhere today. Many people in neuroscience, for instance, will understand by the term 'panpsychism' exactly what I described it to mean in my original essay. Now available for immediate download in eBook format! I will even go further and say that the choice of the term 'panpsychism' to label this ontology is correct. 'Pan-psychism' literally means 'soul everywhere,' which suggests an 'everywhere' outside soul, where soul can be located. This is precisely what monistic idealism rejects: according to it, all 'wheres' are in consciousness/soul, not consciousness/soul somewhere. There is a quote by Henry Corbin that captures this perfectly: 'it is the where, the place, that resides in the soul.' (in Swedenborg And Esoteric Islam, page 14). Kastrup’s main concern with panpsychism (so defined) is that it “fragments” consciousness into atomic bits ... But these concerns are, I argue, resolved by the process-relational version [of panpsychism articulated by Alfred North Whitehead]. Although Whitehead’s panpsychism does involve the particulation of psyche, these psychic particles ... are each and all internally related and co-constituting; they are interpenetrating drops of experience, not isolated monads of private mentality. Fragmentation is thereby averted. Am I alone here in wondering what this means exactly? It comes across to me as a vague, handwaving attempt to have it both ways; to say that Whitehead's panpsychism entails that consciousness is both fragmented (it 'does involve the particulation of the psyche') and non-fragmented ('Fragmentation is thereby averted'). Which is it? If psychic particles are 'interpenetrating,' 'co-constituting' and not isolated, in what way are they still particles? In what way are multiple 'drops' that interpenetrate each other still 'drops,' instead of just one puddle? And if they cease to be particles only once they become integrated with each other by some unexplained magical step, then they were fragmented before they magically joined together. As such, the underlying, original nature of reality is still one of fragmentation and the problem isn't averted at all. You see, what is in contention here is the fundamental, underlying nature of reality, not its superficial appearances. There is no question that reality appears to be constituted of fragmented building blocks. The question is whether this apparent fragmentation isn't merely the result of human conceptualization, the underlying nature of reality being a holistic unity. When Segall speaks of 'psychic particles [being] each and all ... co-constituting,' he seems to be either incurring in contradiction or suggesting that the 'particulated' aspect is a more superficial appearance, while the underlying reality of these 'particles' is that of unity. But it is this underlying level that is the only point in contention here, not the appearances. Is the underlying level fragmented or unitary? Segall cannot have it both ways. [Whitehead's] is not a polemical but a diplomatic philosophy, always searching for the middle ground that incorporates the elucidatory aspects of all approaches in search of an adequate compromise. Personally, I am interested in what is true, not in what avoids conflict through vague, ambiguous, diplomatically-skilled discourse. Ontology is not about seeking compromise; it's not about giving people a warm and fuzzy feeling. Ontology is about getting us closer to truth in a clear and explicit manner. To create an ontology purely for the sake of accommodating disparate and contradictory views is an artificial exercise that can only result in a philosophical Frankenstein monster; a monster that doesn't necessarily bear any link to actual states of affairs. To my mind, what Kastrup [is] arguing for in this essay is only another form of reductionism–reduction to Unity and Mind instead of to Matter. Mind is simply what there is, as far as anyone can ever know. It's the ground of knowledge. It's what exists before we start theorizing, conceptualizing and abstracting. 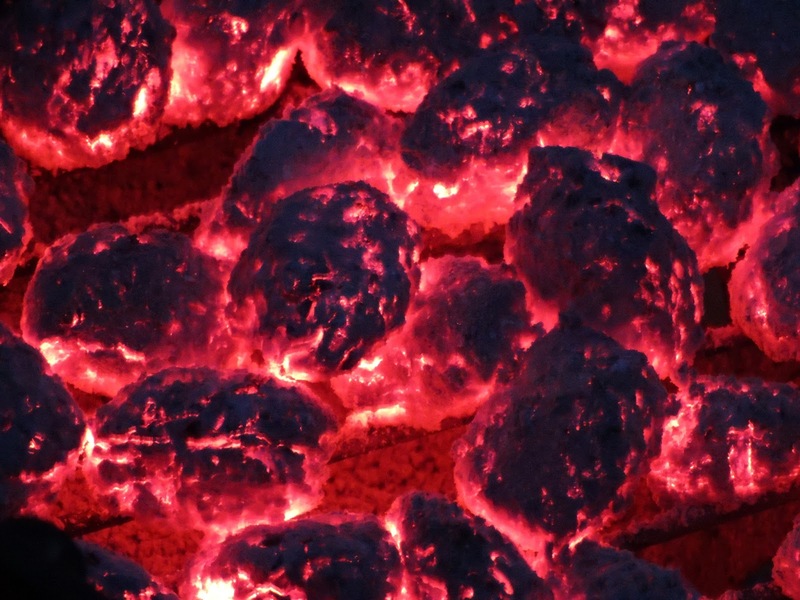 Mind isn't an abstraction like 'matter,' but the very ground of all abstractions. Indeed, 'matter' is an abstraction of and in mind. When Segall talks about reduction to 'mind' or 'matter' he is speaking from within mind. Where else? He cannot step out of mind and speak of it as just another abstraction; nobody can. Also available for immediate download in eBook format. Mind is the only carrier of reality we can ever know. To say that mind and matter are a polarity is a mistake of categories. Matter is a conceptual invention of mind. To reduce everything to mind is not at all equivalent to reducing everything to matter: in the latter case we reduce reality to an abstraction, while in the former case we simply acknowledge the ground of all existence we can ever know. Before you raise your eyebrows and exclaim 'Wait... is he really saying this?!' let's remain objective. Segall seems to be suggesting that mystical experience allows for the possibility that one day there may be unity through bottom-up integration, but that at present there is no sign in mystical testimonies that this unity is complete. This is flagrantly incorrect. Testimonials throughout history overwhelmingly indicate precisely the opposite. Moores wrote that 'Mysticism, then, is the perception of the universe and all of its seemingly disparate entities existing in a unified whole.' (Moores, D. J. (2006). Mystical Discourse in Wordsworth and Whitman: A Transatlantic Bridge, Peeters Publishers, p. 34. The italics are my own) Indeed, mystical traditions in both East and West have always insisted that reality is unified at bottom. In India, they called the fundamental unity of all reality Brahman. 'The world [of multiplicity] is illusory; Brahman alone is real; Brahman is the world,' said Sri Ramana Maharshi, echoing Shankara. The notion of 'The One,' the absolute, permeates nearly every world religion, including polytheistic ones. Mystical experience across the ages has revealed the unity underlying all reality, as discussed by Psychiatrist Richard Maurice Bucke in his famous case-studies book titled Cosmic Consciousness. Aldous Huxley researched and wrote about it in his book The Perennial Philosophy. I could go on and on but I think most readers will immediately recognize what I am trying to say and feel rather surprised at Segall's assertion. That he even capitalized the 'AND' for emphasis makes it only more bewildering. Necessary unity is politically frightening to me. It is too fascist, too totalitarian. I feel a little embarrassed to have to point out that we are discussing the nature of reality here, not politics. I prefer democracy both politically and ontologically. Order, oneness, unity, etc must be freely affirmed, freely achieved. They cannot be metaphysically imposed. The conflation of categories here is frankly disconcerting. Does anyone seriously think that our (political) views and preferences bear any relevance to what nature is? Personally, I am interested in what is true, not what I'd prefer to be true. This line of argument by Segall is, at best, irrelevant. I appreciate Segall's feedback and sympathize with many of his personal preferences. But any serious pursuit in ontology is a pursuit of truth, not of personal comfort, peace of mind or political correctness. It must also represent the evidence correctly, whether it comes from 'objective' science or subjective introspection. Finally, it must be articulated explicitly, clearly and unambiguously, if it is to offer any meaningful contribution to the debate. I believe Segall has failed on all three counts. It's time people began to fully own their subjectivity, instead of persistently trying to maintain their viewpoint as purely "objective." We are subjectively-oriented beings working with the circumstances of such a condition. Look at one giveaway: it's rather easy to see that there is far too much willing going on in the average person's statements for the range of responsiveness to be anything but a movement sliding between "most subjective to least subjective" (rather than from "most objective to least objective" as many would have us believe). "Mind is the only carrier of reality we can ever know." Matthew, I won't have time to study these until mid June because of a crazy schedule. Please don't construe this as a sign of lack of interest, for it is not. As soon as I can I will comment. Cheers, Bernardo. Matthew, I read both your responses and I have no clue what you are saying. Never mind. Hopefully if Bernardo responds, I'll be able divine what it is. Maybe it's because Bernardo isn't a native English speaker that he has a knack of expressing complex ideas in plain English. You really should read his latest, Brief Peeks Beyond: I don't see how you can engage with him if you haven't read anything of his. Apologies, Michael. I try to speak in plain English, but sometimes the metaphysical assumptions built into plain English require the metaphysician to do weird things to already existing words, and sometimes to invent new words entirely. The process-relational alternative to both materialism and idealism that I'm offering rests upon a critique of the concepts of substance and identity. Both the materialist and the idealist fall prey to these critiques. The process-relational form of panpsychism is hard to understand at first precisely because *getting it* requires recognizing the inadequacy of the substance-predicate logic plain English speakers are so used to, at least when it comes to describing the ultimate nature of reality. Once this inadequacy is recognized, the next task is to construct an alternative logic and way of speaking that is capable of grappling with a panpsychic reality. This is not an easy task. These debates are probably important... but certainly, at some point they leave me behind. For a while I was an agnostic (my 'purging the religiosity out of me' period). Then, confronted by the idea that mind can somehow emerge from unthinking matter, I had to shift tracks, and one of those tracks was definitely panpsychism. As wrong as it may (or may not be), it certainly was a doorway to a new way of looking at life, and experience. Any of us who may align ourselves with Bernardo's developing model of idealism and Mind at Large could, perhaps, feel at least a little satisfaction in knowing that the cracks in the Materialist Edifice are beginning to show. If, indeed, something as 'wacky' as panpsychism is being considered, well... I've been there. Moving to a model of existence that is non-dual at its base may take some traveling. Whatever our experience of matter is, and whatever the nature of Mind at Large may ultimately be, certainly some of the pleasure in gaining that dawning understanding is in itself the frustrating yet fascinating journey. What I have come to learn is the sheer power of the mental: the other night I had a lucid dream in which I, knowing I was dreaming, carried on conversations with other 'persons' and was gifted with a wonderful bass guitar, and even though it was stringed incorrectly, the feel of the strings, the feel of the instrument's neck, the quality of the sound... Experience is mental. This realization, combined with the results of experiment in quantum mechanics, the revelations to be had from working inward with depth psychology or Vajrayana Buddhist practice or whatever flavor of Magic(k), is bound to lead more and more of us along paths that at least run parallel to Bernardo's, though in my case with a lot less thoughtful rigor. Perhaps the dam on the mindstream is beginning to break. I only hope it doesn't break too late! Cheers, everyone! Let's agree on something: there is a "ground of being" from which all existence arises, the unified medium on which all subjective experience occurs and on which all multiplicity is perceived . Call it what you may: Cosmic Consciousness, Mind at large, the Void-with-potential, etc.. The point is, it exists; the dimensionless, timeless medium on which all spacetime, matter, energy, thoughts, processes, everything is realized. Bernardo describes it as "that whose excitations are subjective experiences", that which is capable of subjective experience of any type. He makes the case strongly that this unified medium of subjective experience is the ultimate fundamental reality and any suposedly "higher" reality is a completely unknowable abstraction that is redundant and unnessecary. What does the version of panpsychism you're describing propose is the nature of the "ground of being" that we all know is necessary for anything to exist? It seems to me that it cannot be anything other than what Bernardo describes because it is all-encompassing. There is nothing "outside" of it, and there doesn't need to be. The short answer would be to say that the "ground of being" in a process ontology is Creativity. However, Creativity is neither a finished and stable "ground" nor a fixed "being." Rather, Creativity is better described as groundless becoming, pure potentiality, or absolute chaos. What gives the cosmos we experience its definite order is God, who I'd describe as the primordial creature of Creativity. God is responsible for giving the pure potential of Creativity some definite character so as to get the process of cosmic evolution going. There is a lot more to say about this, but I won't get into it here. Much of what I'm saying has been articulated by Whitehead. For starters, try the chapter on God in his book "Science and the Modern World." Thanks for taking the time to reply. Like you, I find this debate far more interesting and productive than materialism vs. anything else. I read Whitehead several years ago while I was transitioning from naive materialism to my current (and probably final) position of nondualism/monistic idealism. My frame of mind was different back then so I may read his stuff again if for no other reason than to appreciate another non-materialist point of view. I still can't imagine anything shaking my nondualism because I see it as a logical and intuitive end-point. A membrane must form a loop to see itself (it cannot see anything when it is flat). The membrane, the process of looping, the loop, what the loop is looking at, and its experience of what it sees are all nothing but membrane itself, one and the same; there is nothing to it but membrane and what it 'does'. So it is with God in my view; It is the creator, creativity, the creation, the experience of and the experiencER of creation. It is all there Is (reality) and all there could be (potential). 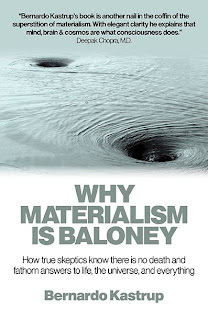 I suggest you read Bernardo Kastrup's work, starting perhaps with Why Materialism is Baloney, if you're interested in examining how monistic idealism/nondualism relates to your views. He and Rupert Spira are probably two of the best elucidators of this philosophy that I've come across in the English language. Kastrup may not be too famous yet but I think he'll someday be considered one of the philosophical giants of monistic idealism/nondualism in the West, just as Whitehead is for the version of panpsychism you describe. Laservius, thanks for the tip! I'll check out his work. Whitehead's process philosophy is still nondual. You need not abandon non-dualism, it's a matter of interpreting it in the most rationally coherent way we can. It's pluralistic nondualism. Experimentally it's more about the relation between nondual experience and the ego. That middle mode is our flow state, where we are creative. Ihe ground is becoming not being. I also maid the transition from materialism to monistic idealism. And then over time went even further. Having listened to the series, I don't know to what extent it covers Whitehead's philosophy, but it does introduce a number of his main concepts. I wonder actually whether he's a panpsychist, or attempting to develop a language to describe the phenomenology of existence at every level. That could be different from implying that everything possesses a kind of consciousness. I also note that Whitehead seems to be implying that God isn't ominiscient. God doesn't know what the results of present moments will be: it depends on the free choices made by sentient beings (alters in Bernardo's terminology). Such choices may be influenced by predetermined factors: for example, you may come to me as the bearer of bad news; something has already happened and is therefore predetermined. I then have any number of constructive or destructive choices about how to react to the news: depending on which I pick--hastily, or in a considered manner--I create a new present moment for myself, and this is a new and unpredicted state of the universe from which God experiences something novel. I don't think that Bernardo's model is denying there are *distinct processes* in the universe: a distinction between the stream, whirlpools and ripples, as it were. But he sees them as part of one and the same fundamental thing, namely consciousness. Some of them are sentient (whirlpools), and some not (ripples), and they can all interact in various ways that could maybe be described in terms of process philosophy. The language is tricky and it can be difficult to be sure what is being said sometimes. It does bother me, however, that the word 'monistic' is being used to overlap with the word 'nondual'. The advaitans use the word 'advaita (not two) for a reason, and this is clearly to avoid using the word 'one'. The phrase 'Middle; Way' implies the same approach. The phrase 'doctrine of the mean' to describe the perennial philosophy also implies a rejection of monism. To be honest I'm not completely clear as to Bernardo position on this, but for myself I'll never be happy with a metaphysical position that can be described as monism. Nondualism would be the rejection of monism. and it is precisely this rejection that allows the doctrine to work. If monism worked then metaphysics wouldn't be difficult. I regret having to make objections since as you know I strongly support your work, Bernardo, and feel it is very important. But I do feel there a fly in the ointment when it comes right down to basics. The thing is that to me both nondualism and monistic idealism would be instances of panpsychism, so I cannot get my head around the idea that it is a failed idea. I'd just say that some version are more plausible than others. Why would Idealistic monism imply panpsychism? I don't get that. The term Nondualism/Advaita at first glance implies that there is no dualism between mind/matter and subject/object. This is certainly true, but the meaning of nondualism is much deeper than that. At second glance, the term may seem to imply both oneness and multiplicity side-by-side or superimposed but equal in primacy. However this is a total misconception. Nondualism *does* acknowledge multiplicity--and describes it at length-- but oneness and multiplicity are not different things. They are the same; they are “not two” (hence ‘nondual’). Every part, every component of the multiple (“individual” experiencers as well as all experiences) has as its source the same Brahman that resides infinitely in all points of multiplicity, while all multiplicity occurs within Brahman. This is Unity within multiplicity and multiplicity within Unity simultaneously. This doesn’t necessarily imply that all atoms and nonliving things are conscious but rather that Brahman is the One experiencing all things including the “material world”, ourselves, and our thoughts (although I can see how this can be a point of disagreement between some panpsychists and some idealists). It is the same infinite “I” in all beings and all phenomena are composed of the same infinite “I”. All is Brahman, One: object/subject, matter/mind, self/God, experience/experiencer, multiplicity/unity, atman/Brahman, Void/Existence, Emptiness/Reality. These concepts are beyond the limits of language and intellect, but this is how Advaita is “taught” in India (or rather, this is what the seeker is encouraged to “find out” for themselves through introspection, meditation, the use of layers of metaphors, poetry, and koan-like sayings). There is no compromise or middle-way. Any philosophy that does not acknowledge the above is not nondualism and should be called something else. The monistic idealism described by Bernardo is basically nondualism. If there is a version of panpsychism that acknowledges the above, then it might as well be called nondualism. The reason Nondualism is not called Oneism or Monism or Brahmanism is to prevent philosophers from entertaining the possibility of anything transcending Brahman and thus to prevent the seeker from straying intellectually and spiritually from the path of Truth. It is to prevent postulating a not-Brahaman or a ‘nothingness’ from which Brahman emerged (a dualism), because Brahman IS Void. It IS “Nothingness/Emptiness” full of infinite potential, Emptiness dancing OR at rest, the One Experiencer with AND without experience. Critics may argue that this is a cop-out, a feel-good attempt to avoid thinking about an infinite regress. However Brahman IS infinite and therefore cannot be displaced by a not-Brahman. Any possible regress that we can postulate will automatically be included in this Infinity. The Experiencer is timeless, spaceless, dimensionless and IS Infinity Itself. I hope I have clarified the meaning of Advaita as it is traditionally taught in India. Since the term “nondual” is a literal translation of Advaita, I am not aware of a “nondualism” philosophy that is strictly western and has not been influenced by Advaita. The same concept in the West is usually called monistic idealism. Yet is too swift for the mind. It is ever beyond its grasp. Yet in It lies the breath of all that moves. It moves, yet It moves not. It is within all this, yet It is without all this. May my breath merge with the Cosmic Breath. May my body be as dust. Remember what has been Done. Much appreciated, Anita. I don't think, based on this, that Advaita and Bernardo's version of Idealistic monism are incompatible. It's an odd thing, but I have never come across the phrase 'monistic idealism' to stand for nondualism outside of Bernardo's writing. Maybe it's a perfectly legitimate phrase but It confuses me. . Regarding the influence of advaita, if, as you say, this is a true view, then one can reach it without being 'influenced by advaita'. We see this in 'A Course in Miracles', the Tao Teh Ching, the thoughts of Hegel and all over. Advaita would be the view arrived at and expressed rather than the influence, is how I'd see it. Michael - Panpsychism, like so many 'isms' can imply or cover many different ideas. Not all of those ideas are bad ones. So rejecting panpsychism means rejecting any idea that might be called panpsychism, and a view for which all is mind seems to qualify. No doubt panpsychism could be defined so as to include only ideas we want to reject, but this could cause a bit of a muddle with other users of the word. I have little to add to what l've said here and elsewhere, but I'd like to hear from David Skyrbina. Do you ever cross paths with him, Bernardo? "Michael - Panpsychism, like so many 'isms' can imply or cover many different ideas. Not all of those ideas are bad ones." By which I take it you mean that some versions of panpsychism are compatible with Advaita/non-dualism? However, panpsychism is a dangerous term because it tends to conjure up the idea of all things, even elementary particles, having consciousness as maybe some kind of property along with mass, charge, etc., thereby maintaining the primacy of matter. From Anita's excellent description earlier, I think I understand Advaita much better than before, and as far as I can see, it is compatible with Bernardo's version of Idealism. One could argue that Bernardo's categorisation of the living and inanimate into "whirlpools" and "ripples" respectively is an arbitrary one: both whirlpools and ripples are excitations in one and the same ground of being, and to that extent, I suppose that the term "panpsychism" might be appropriate so long as it isn't confused with the idea of separation: but probably better not to use it. I suppose that there are actually three categorisations that *could* be applied: pre-conscious, conscious, and self-reflectively conscious, only the last being full-blown whirpools that are capable of an *impression* of separateness. This is explained quite nicely in his analogy of the ground of being looping in on itself locally so that it can become self-reflective: capable of introspection. There wouldn't actually be the three distinct categories, just a continuum from the ground of being itself, at rest, to the fully self-reflective loop, and along the way various kinds of multiplicity would be apparent. "Multiplicity" is a great word that avoids the notion of objects existing as independent entities. It is as if the clay of the universe comes in various configurations that we categorise as distinct "things" but which nonetheless retain an essential unity. It seems to me that Bernardo has updated the rather arcane terminology of Advaita, etc., to make it somewhat more graspable by the modern Western mind, and employed phrases like "obfuscation in whirpools", and analogies like not being able to see the stars by day, even though they are still there, to explain "unconsciousness". It all hangs together quite nicely and importantly, is parsimonious. "Inside" and "outside" are then terms used relative to "whirlpools" rather than implying separate ontological realms of subjectivity and objectivity. No need for the idea that the whole universe exists as a model inside our skulls, and then, outside that, there is an actual universe that is made of different, totally dead stuff that magically gives rise to it. Pete and Michael, you're welcome. I'm glad my post was helpful in some way. When does zero = 1 = infinity? When it is Brahman. I feel your words reflect a knowing about the Source. It is good and your vibrations are felt by myself. I can confirm through my mystical experiences that I KNOW you are right and accurately describe what IS. Let the others quibble and worry and avoid the Truth. The mind is a terrible thing to waste. If just enough awaken to themselves as emanations from the One, isn't that enough? Why waste precious time with those lost in the illusion? Shine your light in beauty and creation. When you are close to it, you melt away anyway. I would love to read your poems, perhaps you have some? Peace brother.